In the wake new U.S. sanctions on Iran, Air France and British Airways have announced they’re shutting down flights to Tehran, saying they’re not commercially viable. U.S. President Donald Trump in May withdrew the United States from the Joint Comprehensive Plan of Action, the landmark 2015 nuclear agreement that lifted economic sanctions on Iran in exchange for peaceful nuclear commitments. Trump argued the deal was flawed and his withdrawal effectively put the sanctions back in place. By November, those sanctions will hit the Iranian oil sector and potentially sideline around 1 million barrels of oil per day from a market where spare capacity is at a premium. Both airlines said they would cut flights to Tehran due to performance issues, not the sanctions. British Airways, owned by Spanish-registered IAG, said its last flight from London to Tehran would fly Sept. 22, and the final return from the Iranian capital the next day. Hamid Baeidinejad, Iran’s ambassador to London, said in a tweet the decision is unfortunate because there is high demand for the route. 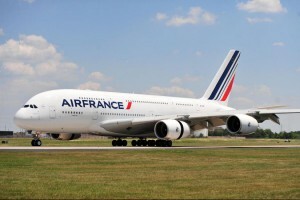 Air France, which had already began cutting flights to Iran, will suspend all flights to Tehran on Sept. 18. Air France’s sister airline, KLM Royal Dutch Airlines, said last month it will stop flights to Tehran because of the financial outlook.